Use our guide to heat safety resources and information to find out what the health risks are for heat-related illnesses, who is most vulnerable, and how to prevent and respond. An easy-to-follow graphic on what extreme heat is, who is at risk, where the danger zones are, and how to prepare (PDF). A basic guide from the American Red Cross provides information on how to spot and prepare for a dangerous heat event. A guide for the general public that explains weather-related heat warnings, charts the link between the heat index and health impacts, and details the dangers of UV radiation. Specific advice on how to keep cool, hydrated and informed during heatwaves for the most vulnerable — children, those with chronic medical conditions, those who work outside and the 65+ community (plus, a more detailed site for caring for the elderly). Information on how to spot and prepare for a dangerous heat event. Also available en Español, información para grupos específicos: Personas de 65 años o más, los bebés y los niños, y personas con una afección crónica. This guide for children is full of helpful information: what times are best for playing outside, which drinks are best for keeping hydrated (it’s not soda) and how to dress. Great information on how to recognize a heat stroke and what to do if you or someone you know seems to be suffering from one. Detailed guide on numerous ways you can protect yourself from extreme heat, with detailed instructions on how to best hydrate, dress, and handle emergencies. There’s more to it than buying an air conditioner. 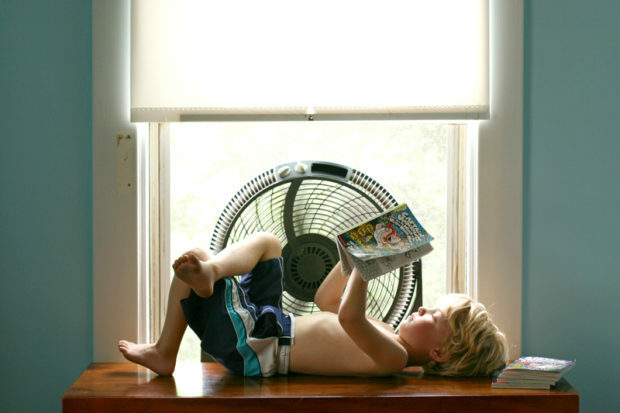 Find tips and resources for protecting your home against extreme heat and heatwaves. This heat safety guide for outdoor workers includes a daily checklist of safety precautions and printable materials on heat illness to post at your job. It comes in both English and Spanish. Cars can heat up very quickly: Do not leave children or animals alone in your car and whenever possible, park in the shade. Here are more tips on how to stay safe while in transit. An extremely data-rich guide to navigating the urban heat island effect, with links to many federal government resources, including a excessive heat event guide book, a heat safety tool for outdoor workers, and info on heat-related illnesses. The site also includes news udates on national climate news, current heatwaves and research from the federal government. The good news is that this report finds that humans are adapting to extreme heat and will continue to do so. The bad news is that extreme heat is projected to become increasingly deadly as climate change progresses. This study was part of a larger analysis of climate change’s impact on health. This extensive report describes extreme heat events, how an extreme heat event threatens public health, and how to prepare for and respond to such an event. This meeting summary documents how designers, engineers, and urban planners are working to mitigating urban heat. Posted in Harlem Heat, Neighborhoods Project and tagged with at-risk populations, children, elderly, extreme heat, FAQ, guides, health, heat waves, safety. RSS 2.0 feed. « WNYC: Giant Tidal Gates in Jamaica Bay?